Incident at Three Mile Island - I finally was able to reach Kendall late in the evening at the home of his mother, who was seriously ill. He filled me in on what he had been able to learn. Apparently twenty-two previous cases of defects in the valves and pumps of this type of reactor had been reported to the NRC in recent years, but nothing had been done to correct the problem. As a result of the loss of cooling water, much more fuel damage had apparently occurred than had been expected. For over half a century the false assumptions about nuclear technology have been as deceitfully treacherous as they are lethal to all life exploring itself on Earth. In order to exercise our own best innate powers of response ability, we must see through these pernicious fallacies and acknowledge the true nature of nuclear technology. By so doing, we can then deal with its poisonous legacy created over the past fifty-plus years which will now be with us for millenia to come. This crisis has been created by humans and can be successfully addressed if we are willing to see the facts and respond with our infinitely creative abilities. Dr. John W. Gofman, the medical physicist whose fight for what he considered scientific honesty in understanding the health effects of ionizing radiation made him a pariah to the nuclear power industry and the U.S. government, died of heart failure Aug. 15 at his home in San Francisco. He was 88. Although most protesters were from the region, people travelled from all over Germany to the demo, called by trade unions, churches, advocacy groups, local governments, neighbourhood associations, firms, farmers with their tractors, to protest against irresponsible handling of nuclear waste. "The No Nuker" - where No Nukes is good news ! On August 18, 2007, China officially started the construction of the Hongheyan nuclear power plant, 110 km north of Dalian city in Liaoning province, kicking off a new round of nuclear power building in China. Using China's own CPR 1000 nuclear technology, the Hongheyan nuclear power plant will have six reactors, each with a capacity of 1,000 MW. Though Chinese media reported an assurance from governmental officials on the safety of nuclear reactors, in a rare stance China Daily publicized concerns over nuclear safety from residents in nearby Changxing Island. If you live near a nuclear reactor then you children are at risk for cancer. Know the facts. Read More Here. 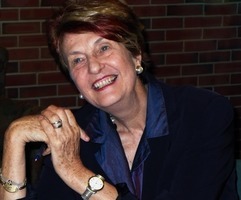 The single most articulate and passionate advocate of citizen action to remedy the nuclear and environmental crises, Dr Helen Caldicott, has devoted the last 35 years to an international campaign to educate the public about the medical hazards of the nuclear age and the necessary changes in human behavior to stop environmental destruction. 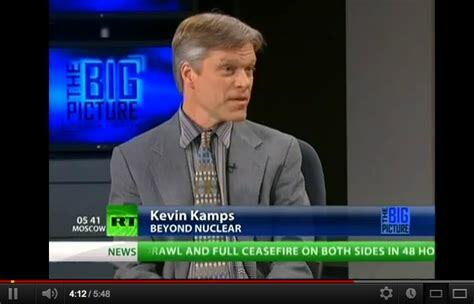 Kevin Kamps covers all aspects of the nuclear fuel chain with particular expertise on government and industry efforts to dump nuclear waste at Yucca Mountain, Nevada, as well as on the risks of radioactive waste generation and storage at reactor sites, and transportation through communities across the country. Prior to joining Beyond Nuclear he was for eight years the Radioactive Waste Specialist at Nuclear Information and Resource Service. He has traveled widely across the U.S. and overseas, speaking at many community and governmental forums and on television, radio and at press conferences and has testified before numerous federal, state, and local government agencies. Tel: 301.270.2209 / Email: kevin@beyondnuclear.org. Linda Gunter is the media and development specialist for Beyond Nuclear. Prior to creating Beyond Nuclear she worked as a journalist, in public relations and led the media and development efforts at three national environmental nonprofit organizations. She is the co-author, with Paul Gunter, of Licensed to Kill, a landmark report on the impact to marine animals from the routine operation of coastal nuclear reactors. Tel: 301.270.2209 / Email: linda@beyondnuclear.org. We began as an alliance of affected peoples, organizers, health workers, and scientists who wanted to take on a military complex that was poisoning communities, wasting billions of our money, and putting the world at risk. 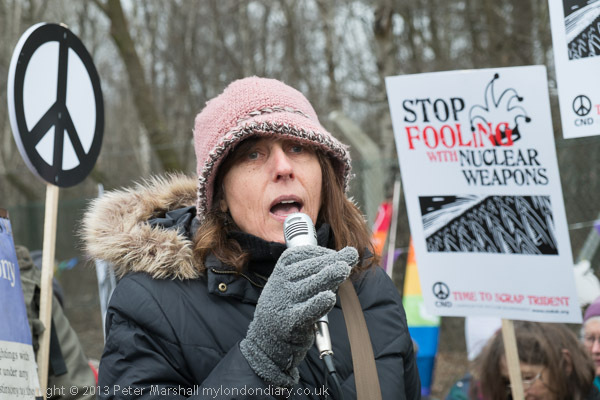 ANA supports our over 30 member organizations and groups who are working throughout the country to empower citizens to take action and to protest an opaque and mismanaged nuclear complex. Our leaders, from across the country, are experts who are deeply rooted in the impacts of nuclear weapons, waste, and energy on our health and environment. We work to find solutions that can achieve a vision of a modern society that runs off renewable energy sources, has verifiably dismantled the world's nuclear arsenal, and has responsibly disposed of our nuclear waste. CCNS is a non-profit, non-governmental organization that was founded in 1988 because of community concerns about nuclear waste transportation from the Los Alamos National Laboratory (LANL), the nation's oldest nuclear weapons production facility, to the Waste Isolation Pilot Plant (WIPP), the nation's first permanent nuclear weapons waste repository. CCNS has since evolved into a nationally recognized organization known for research, litigation, public education, community outreach and organizing on a range of nuclear safety issues. CCNS is a 501(c)(3) organization. There is a very real concern about what nuclear is doing to our planet and the ecosystem. Nuclear is not green and it stands with the potential of destroying life on this planet. There was a project called Nuclear Power 2010 Program. Several companies including General Electric, Hitachi America, Bechtel Corporation, NuStart Energy LLC-(Constellation Generation Group, Duke Energy, EDF International North America, Entergy Nuclear, Exelon Generation, Florida Power and Light Company, Progress Energy, Southern Company, GE Energy, Tennessee Valley Authority, Westinghouse), TVA ( General Electric, Toshiba, USEC Inc., Global Fuel-Americas, and Bechtel Power Corp), intend on building many more nuclear power plants in the USA. This careless decision was approved without the consecent of the American people and is another example of powerhouse corporations making the decisions. Eskom stopped their plans for a nuclear plant in South Africa citing financial torubles over the $12 billion dollar project. (Read more here) According to Portia Molefe, who works for the Department of Public Enterprise, "The South African government remains committed to introducing nuclear because we have to deal with our carbon footprint and we have to diversify our energy mix." While the plants are capable of producing large amounts of energy, they are very expensive, produce deadly radioactive waste, and sit as a ticking time bomb for meltdowns or other disasters. Uranium that is used in some of the production of nuclear power can take millions of years to break down. Perhaps, Eskom has done the people of Africa a big favor. Chernobyl is still on the minds of many in the energy community and those that it affected. No one can deny that this disaster was avoidable and that it could happen again. Nuclear cannot be the solution to the carbon footprint. It creates a much deadlier and tragic footprint. This footprint that is left behind is radiation. The radiation is significant. According to Wasserman, a writer for Common Dreams.org: People died--and are still dying--at Three Mile Island. As the thirtieth anniversary of America's most infamous industrial accident approaches, we mourn the deaths that accompanied the biggest string of lies ever told in US industrial history. As news of the accident poured into the global media, the public was assured there were no radiation releases. That quickly proved to be false. The public was then told the releases were controlled and done purposely to alleviate pressure on the core. Both those assertions were false. The public was told the releases were "insignificant." But stack monitors were saturated and unusable, and the Nuclear Regulatory Commission later told Congress it did not know---and STILL does not know---how much radiation was released at Three Mile Island, or where it went. Official estimates said a uniform dose to all persons in the region was equivalent to a single chest x-ray. But pregnant women are no longer x-rayed because it has long been known a single dose can do catastrophic damage to an embryo or fetus in utero. The public was told there was no melting of fuel inside the core. But robotic cameras later showed a very substantial portion of the fuel did melt. The public was told there was no danger of an explosion. But there was, as there had been at Michigan's Fermi reactor in 1966. In 1986, Chernobyl Unit Four did explode. The public was told there was no need to evacuate anyone from the area. Pennsylvania Governor Richard Thornburgh then evacuated pregnant women and small children. Unfortunately, many were sent to nearby Hershey, which was showered with fallout. In fact, the entire region should have been immediately evacuated. It is standard wisdom in the health physics community that---due in part to the extreme vulnerability of human embryos, fetuses and small children, as well as the weaknesses of old age---there is no safe dose of radiation, and none will ever be found. Still, strange deformities can be seen in plants and animals near the 3 Mile area. The leukemia rates soared and most of them died before they could fight the energy powerhouse that was responsible. In effect, they are not held accountable, there is no justice for those harmed, and the damage to the watershed, ecosystem, and animal and human life is irreversible. It is time for the human race to do better than this. Communities can become energy indepenedent. 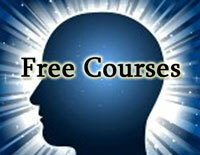 Homes can use wind, solar, and magnetic energy and be independent of the need for power mogels. You can make your voice heard on this issue. Concerns in France- Radiation Concerns in France- Children splash and play in a river in rural France. They ignore the nuclear power station towering over the water even though its outflow runs into the pool in which they swim. A watchdog group tests for contamination and finds tell-tale signs of radioactivity. Nuclear Tests FUKUSHIMA in Japan. Pilot comments on drop They found contamination, but insist it is not dangerous. Nuclear is not Green Wind can do the job. TOLEDO -- "FirstEnergy Corp. is in hot water with the Nuclear Regulatory Commission again over falsified inspection records, this time with its Beaver Valley nuclear complex near Shippingport, Pa... 'FirstEnergy should never have the falsified records issue again. They should have the squeakiest clean process by now,' said David Lochbaum, a nuclear safety engineer in Washington for the Union of Concerned Scientists. 'The lessons of Davis-Besse didn't get to Beaver Valley as broadly as they needed to be," he said," Tom Henry, Toledo Blade. WASHINGTON, DC -- "An analysis of nuclear reactors by a safety group has found that they are prone to costly, lengthy shutdowns for safety problems regardless of their age or the experience of their managers. The finding could have implications for companies considering building new reactors. The analysis, by David Lochbaum, a nuclear engineer at the Union of Concerned Scientists, counted 51 times that a reactor had been closed for a year or more... The shutdown of more than a year that ended most recently was at Davis-Besse, near Toledo, Ohio, where workers found that an acid used in the plant, boron, had corroded a 70-pound chunk of steel in the reactor’s vessel head, leaving only a half-inch stainless steel liner," Matthew Wald, New York Times. NEW YORK, NY -- "FirstEnergy Corp. shut the 873-megawatt Davis-Besse nuclear power station in Ohio early Wednesday due to a problem with the condenser, a spokesman for the Akron, Ohio-based company said. He said operators manually shut the reactor early this morning after the condenser started to lose vacuum. The spokesman said a team was investigating the problem but he could not say how long it would take to fix the condenser and return the unit to service," Reuters. ROCKVILLE, MD -- "Jim Dyer, a former Midwest region chief for the Nuclear Regulatory Commission, apparently has "learned nothing from the Davis-Besse debacle" by letting the nuclear industry continue to voluntarily report leaks of radioactive water at nuclear plants, according to a statement issued yesterday by more than two dozen groups and individuals. The NRC should immediately demand technical information that could lead to a national assessment of the problem, they said. The groups said they want to know if recent leaks reported in Illinois, New York, Missouri, Connecticut, Massachussetts, and Arizona were a fluke or a symptom of a bigger problem," Tom Henry, Toledo Blade. U.S. report cites problems with NRC's 'safety culture' TOLEDO -- "The report predicts new steps will be implemented in July The Nuclear Regulatory Commission still needs to change a problematic 'safety culture' at the nation's power plants, highlighted by a near-disaster in 2002 at the Davis-Besse nuclear reactor near Oak Harbor, according to the federal Government Accountability Office's preliminary findings in a recent report," Eric Lund, Toledo Blade. AVILA BEACH, CA-- "the industry and its supporters in Washington still have not resolved one of the biggest issues that derailed nuclear power in the 1970s and 1980s -- what to do with the waste, which remains radioactive for thousands of years. Yucca Mountain remains bottled up by Nevada politicians. One alternative would be to recycle spent fuel rods, extracting radioactive material for reuse and reducing the amount of waste that would need to be stored. But the idea has long been blocked by fears that plutonium removed from old rods could fall into the hands of terrorists or rogue countries trying to build nuclear weapons. So Diablo and other nuclear plants must keep their waste on-site -- indefinitely," David R. Baker, San Fransisco Chronicle.